I have been blessed as of late with many things of God and once again taken back by the awesome that is God. I have met people and have had conversations that I could not have had without him. I have been given a wealth of words to put to paper that I will get credit for, when they truly are not my words. Dead asleep by midnight and awake again with words to write by 1am. There is a truth in that statement of true power. I’m sure that had something to do with the inspiration for this topic. I have talked about faith quite a few times, but this time I want to focus on a few different examples. In the Bible, Jesus tells us time and time again just how powerful Faith is, and even among his disciples who are right there with him, how little faith we can have. Jesus tells us that with faith the size of a mustard seed a mountain can be tossed into the sea. Jesus tells us that all he does, he does in faith of the Father. The only time that he was not able to do miracles of magnitude was in his home town with doubt and fear around him. There were more people that did not believe than there were believers I feel. Even with that though, he was able to heal the sick. I have pondered on the parable of the mustard seed more than once and I often asked why a mustard seed was used. We are told that it is a very small seed and it grows into a tree large enough for birds to take nest there. In this there is a deeper meaning of why Christ chose the mustard seed. Each of us starts with a seed of Faith within us. This seed is watered and nurtured and eventually begins to sprout with proper care, just as any other seed does. This begins to grow in us and develops roots. This seed is the seed of our faith. It sprouts within us and begins to grow. Even in its infancy there is power in that faith. From the beginning we are called to just draw closer to God through love. We are told that we have been brought into God’s covenant and that he is our tower of refuge. We are told that our faith from the beginning is powerful enough to move mountains. We have a hard time keeping this in our minds when the seas are not calm. Even the disciples had fears and doubts, we are not perfect. Only Jesus was perfect, and we are made perfect through Christ Jesus. I tell you though, Jesus is right, faith the size of a mustard seed is capable of changing the world. Many times it is changed in ways that we do not recognize or realize. The faith that we have in God is what keeps us safe. It is what keeps us on track with God’s purpose. How can faith of a mustard seed change the world, by continual growth and willingness to listen to God’s will and purpose. Demons had no power with Christ. Christ dwells within us. The demons even feared the Son of God and begged him. How can they have power of us if Christ dwells within us? Without faith the sea will remain rough. Without taking up your cross daily and walking with God daily we neglect that patch of dirt that our seed is planted in and allows weeds to grow in to choke out our faith. Ever diligent and ever faithful will we keep to what God wishes for us. I have been encouraged by what God has taught me through the words he has blessed me with. These things are not mine, it’s a God thing. What keeps us where the devil wants us? Doubt and fear. The only power that he has over us relies in us forgetting that he has no power over us. “Greater is he that dwells in us than dwells in the world.” I may sound like a broken record, but Faith is that important. When I was an Occultist there was a question that was asked constantly, “How does magic work?” The answer is one that Christians will be familiar with, through the belief that it will be done. It is our human will that puts forth our belief and our faith that something will be done. We believe that we are protected in Christ and have faith in the father and it is done. It is not that we are making it happen, we believe in the truths that we have been told in the bible and through the testimonies of those far more wise than we are. I am still a toddler in my walk with God. Even at this point though there is power in the faith that has been built within me that no one can take from me, save the Lord. Job is always a hard read for me because of all he goes through. And I understand that it is supposed to be a testament to endurance and perseverance, but honestly not many Christians want to experience what Job went through. He was blessed in the end, but went through hell on earth. In that though the encouragement that I get from it is just how much of a stalwart he was to the truth that God was God. Job questioned why God was doing these things to him, but never denied God the right. We are his children. Job stood his ground against the devil and was blessed. I do not believe that all of us have to go through these struggles as Job did, not to that level anyway, but look at how many people were blessed by his story. I leave with one last point. Your faith is not something to keep to yourself. Your faith is to be shared, go out and share the good news is what we are called to do as disciples. So where is the light of your faith? Do you have it tucked away under a bowl, or do you have it as a lamp for others to find the God that has blessed you? 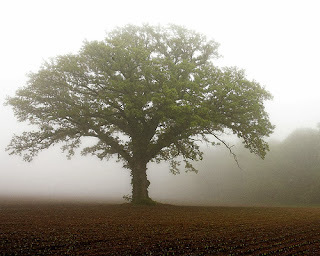 You want your mustard seed to grow into a tree; it is going to need some sun for that. You got to pull it out and that means other people will see it and want to ask you about it. That’s the scary part isn’t it, talking about your story and how you came to Christ and taking the risk that the person will reject you because you’re one of those crazy “God hates fags” people. I would not be a Christian right now if someone had not reached out to me and shared their story. Pull your tree out of your pocket and let people see it. You don’t want to have a tree in your pocket anyway, watering it really wouldn’t be that pleasant of an experience now would it?